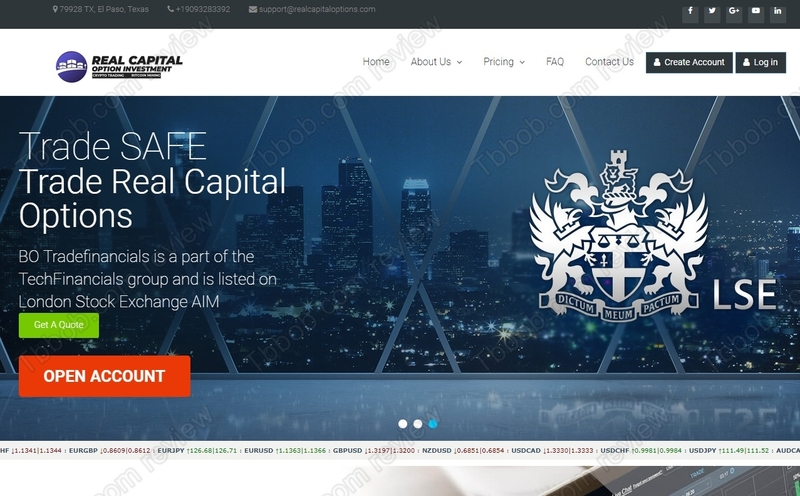 Real Capital Option Investment is a broker that allows its clients to trade Forex, binary options and CFDs. 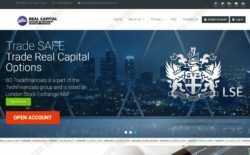 The underlying assets include currencies and cryptocurrencies. The broker also offers several investment plans with returns up to 50% per week. Real Capital Option Investment claims to be located in Texas, USA, and to be registered in the United Kingdom. Does it make any sense? Unfortunately, this broker is a scam broker, it is very obvious. Here is why. We already asked the question and the answer is that it does not make any sense for a company to have offices in the US and to be registered in the UK. In fact, Real Capital Option Investment is not registered in the UK nor in the US. The certificate that the broker displays on its website is fake, you can see the proof on our picture, there is no company registered under this number. Real Capital Option Investment is a broker that is not regulated, it has no authorization to provide investment services, so it is an illegal broker. When you look at the investment plans of Real Capital Option Investment, you can see another proof of scam. Because 50% per week or 200% per month is simply impossible in financial markets. Only scams and Ponzi schemes offer this kind of numbers. When you see such returns, you know you should stay away. Real Capital Option Investment is a scam broker that is not regulated, it is acting illegally, stay away from it! 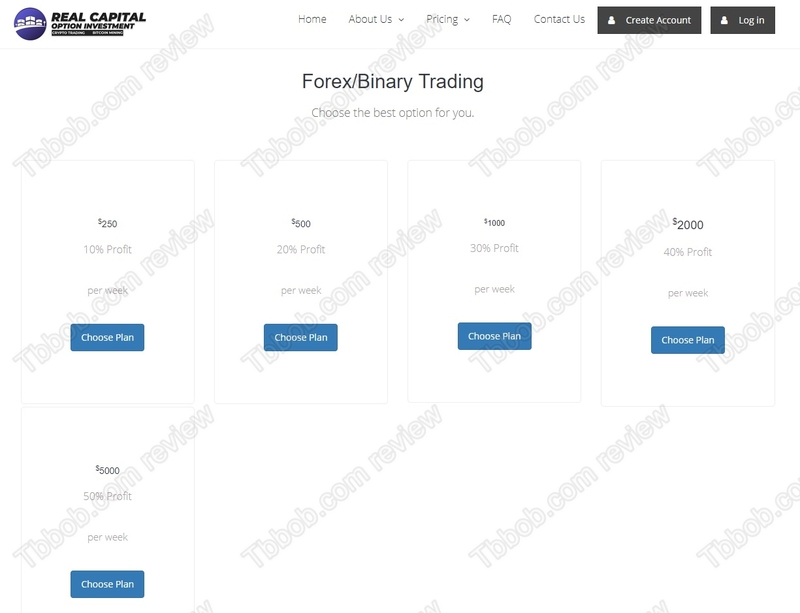 If you want to try financial trading, start on a free demo with a regulated broker. Don’t forget that in trading you can make, but also lose money, so be careful if you later decide to invest real money.